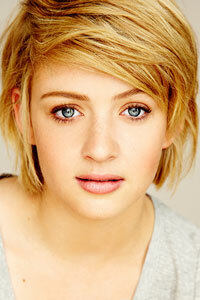 Sara West makes her mainstage debut with Sydney Theatre Company in David Williamson's Travelling North. Our Content Manager, Carl Nilsson-Polias, sat down with Sara on a sunny day at the Wharf to find out more about how she got there and what makes her tick. Let's start at the beginning. You grew up in Adelaide? Yep, grew up in Adelaide. I've been in Sydney now for about three years. But in those three years I've probably been in Adelaide for about a year back and forward. I end up there from time to time, mostly unwillingly. How did you find yourself in theatre? Was it in the family? No, no. My dad's a filthy construction worker. My mum does pottery, so I put my artistic interest down to watching her when I was a kid. She put me in drama classes when I was a rebel teenager off the rails. Then, when I was leaving high school, my drama teacher said I should apply for drama school and I did and I got in. I went to Flinders Drama Centre, which is an amazing school that's part of Flinders University in Adelaide. It was a four-year degree. It requires extreme commitment, you can't defer your course, you can't take time off and it's really hectic, but I loved it and grew up a lot there and, basically, needed the four years. And you did that straight out of high school? Yeah, I was 17 when i graduated high school and I went straight in. But I actually did the acting and directing course for the first two years because I got in as a director not an actor. But for the first year of the directing course you have to do the acting part so that you get an idea of what an actor does. And I loved it and did both for the first two years. Then, in my third year, I had to choose because the schedules were ridiculous. They were both full-time courses and I was doing two of them, so I asked for the blessing to go into acting. I just didn't like the directing classes as much and I didn't feel I was learning directing through doing directing classes, I felt I was learning directing through being directed. I think eventually I'll end up directing in my later years but we'll see how this goes for a little while first. You've already directed films and, indeed, written films. When did you start writing? As my electives at uni, I did all the writing classes because I wanted to keep my course subjects similar to each other. I didn't want to go and do something random. A lot of people at my school did gamelan as a topic because it was so easy to pass but I really didn't want to pay HECS fees for gamelan so I did script writing. Then when I graduated, my teacher, who is now the head of the school, encouraged me to finish this script I'd given him. That's the first project we ended up making, which is called River Water. It's a 37-minute unmarketable short film. Too long to be a short film, too short to be a feature film? Exactly, but we knew that going in and we thought we'd just see if we actually knew what we were doing. It actually went to the Adelaide Film Festival, which was very cool, and I won an award for it. And, now, we're a little bit of a team. We're called Salvage Productions and he's my go-to cinematographer when I write stuff. But I wouldn't label myself as a writer or even a director at this point, I'm just very impatient – I like to be working on something all the time. We made a project just recently – we finished shooting two days before Travelling North started rehearsals – which is a feature film called Dirt Girls. Do the two things feed each other for you? Do you get excited about acting when you're directing and vice versa? Yes, absolutely. Dirt Girls was a different experience to River Water which I was acting in as well. That earlier project was so naive but we knew that and did it anyway – if it turned out crap we just wouldn't show people, you know. Doing it, I discovered the real pros of directing and the real pros of acting but not necessarily the pros of doing them both at the same time. I really like doing both but I don't think I'll do them simultaneously for quite a while. I love directing film. I don't know whether I'd love directing theatre. It's a very different thing to me and I see in pictures. I think I'd be really heavy-handed with the design. Basically, I think I'd be horrible to work with as a theatre director because I'm so bossy. As a film director you kind of get away with it. I don't know why it's different. Perhaps because you're perfecting a moment and capturing it in film, whereas in theatre you're enabling an actor to do a great performance night after night on their own. Yeah, and you have to let them go off on their own. It's a very different thing. I'm interested in writing for all kinds of things. I got short-listed for the ATYP commission to write a children's play, which I would really love to do. I've just not had the time to sit and think more about what that idea could be. But it's how I like to spend my time – I don't have many hobbies and I have, like, four friends! Well, on that, how have you found the transition to Sydney? Did you move here mainly as a career thing? More than anything, absolutely. I got an agent in Sydney which pretty much made my decision for me. Straight after graduating from Flinders I signed with Shanahan. Originally, I always thought I'd go to Melbourne. I'd only visited each city briefly – on a weekend trip to see Wicked or something like that – and I thought I'd go to Melbourne just because I'm pretty casual and Sydney seemed kind of corporate to me in a bourgeois way – I like to walk around in bare feet and track pants – but then I got my agent here and I love it. I don't think you can live in Adelaide and get the career that I'm interested in having. It's not that I want bigger and better things but I just want them more often. I go back to Adelaide to make things because all of the crew and people I know are there. I haven't been able to put a team of people together here in Sydney, probably because so many other people are doing things that it's hard to get people to listen to just you, but it's a great place to live and I've been lucky in the work I've been given. Although, in saying that, I don't feel like this is home – I feel like I'll always be moving around. My family have property on the river Murray and only when I'm there do I go, "Oh, it doesn't matter what I'm doing for the next month, I can just be here." But when I'm here or in Adelaide, I'm always thinking about what's next. What was your first experience at STC? I was extremely lucky and was asked to do The Laramie Project with Sarah Goodes, which was part of the Education program here. We rehearsed this beautiful verbatim play The Laramie Project over two days and then we performed it over the next three days to something like 600 students. It was the best thing because while there was pressure to do a good job, it was too quick for there to be any of that pressure of "oh my gosh, it's the Sydney Theatre Company". And Sarah Goodes is so amazing and warm and welcoming. It was great to have a low-key introduction to the company where I could find my feet before I had to start running. Have you been in a Williamson play before? At uni, we did Don's Party and I played slutty Susan, which was super fun and I loved it because I'd always been cast as the ugly girl or the beaten woman or something like that. And Don's Party is one of those plays where, once you're on stage, you're on for the whole show so you have time to really flesh out your character. I had a really good time. And I wore my dress backwards so I could have the zip halfway down at the front! Ha! It was amazing. How has it been working on Travelling North? To be in the room with that company of people is just ridiculous. Andrew (Upton) is so warm and fun and has a playful energy that you can really bounce off. At the beginning, I was thinking "I have to get this right" and was trying to second-guess why I'd been cast and, meanwhile, everyone else in the rehearsal room is relaxed, laughing and having a good time, which was slightly unnerving at first. Plus, I have huge career-crushes on Bryan Brown and his wife, Rachel Ward, who have done amazing things in terms of creating things – I really admire them as a filmmaking couple, so just to be in a room with him was pretty daunting at the beginning. Has the experience of working at STC surprised you in any ways? Just how relaxed it is. It's a place that has such hype about it as an amazing place to work and every name in the book has been through and worked within these walls and yet it's so lovely and casual. I mean, before we started, I went out and bought nicer clothes! Because I was thinking "I can't wear my army camo t-shirt on the first day of rehearsals", so I went and bought clothes that I would wear for events and wore them casually to rehearsals and then realised, "No one else is doing this, it's weird, I'm going to stop." And now I'm like, "Whatever, I can just wear my Nikes." When you're between acting gigs, what feeds you, what keeps you going? More and more, I'm interested in making my own work. It's partly because I feel there's a lack of young female roles in the industry, everywhere not just Australia. And I watch a lot of films, the number of films I watch is actually outrageous. And when I do get a kind of claustrophobic feeling every now and then, I head up to the Blue Mountains or go to my family's property on the Murray to go fishing and bushwalking – I love open landscapes, so moving to Sydney where it's so built up was a big, hard change. And I'm hoping to go travelling later this year. I think that's why I'm attracted to this industry. I like working on things for a few months and then not touching them again. Do you have other projects coming up?